Wike, in a new year message, also pledged that no part of Rivers state will be left behind in his steady delivery of development projects by his administration going into 2018. “It is always exciting to see out an old year and usher in a new one. Though, 2017 has been a very difficult year, we still have reasons to thank God for life and look forward with renewed hope for a better new year”, he said. On his administration’s 2017 scorecard, Governor Wike said in course of the year, the state government successfully restored the state’s broken economy, placing it on the path of growth and regeneration. Among key achievements in the just ended year, he listed that, “As a government, we moved the state several notches forward. We constructed and added many kilometres of roads to existing network. “We rehabilitated, equipped and transformed hundreds of basic education and secondary schools as well as built new faculty buildings for our tertiary institutions. We also strengthened the healthcare delivery system and improved performance. “We promoted the rule of law and enhanced access to justice with the building of new courts for the state as well as the Federal courts and improved welfare of judicial officers for greater productivity “. Going into 2018, the governor pledged that, “Massive investments in infrastructure, access to education and training, qualitative healthcare and creation of economic opportunities will remain some of our key priorities. He charged the Rivers people to keep hope alive and be courageous against the daunting challenges of development due to the harsh economic climate. “We all share the responsibility of building our state and country. Let us therefore continue to demonstrate the values of hard work, patriotism and integrity and strengthen our commitment to building a just, accountable and inclusive society of our dreams where nobody is left behind. 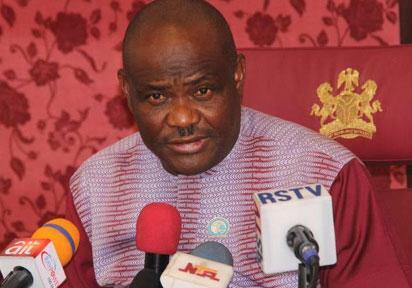 The post We restored broken Rivers economy, Wike scores self on 2017 stewardship appeared first on Vanguard News.